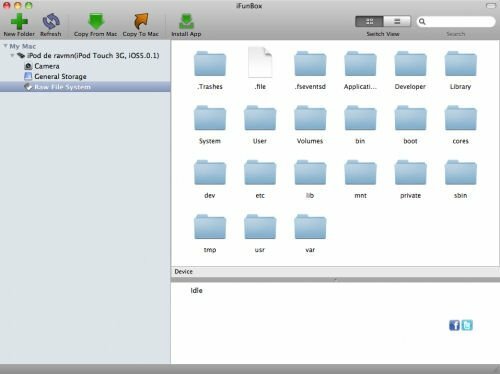 iFunBox is an application and file manager for Apple's portable devices: iPhone, iPad and iPod that will allow you to get rid of iTunes and its bothersome restrictions. Manage all the contents from an alternative and lighter program without having to resort to a jailbreak. 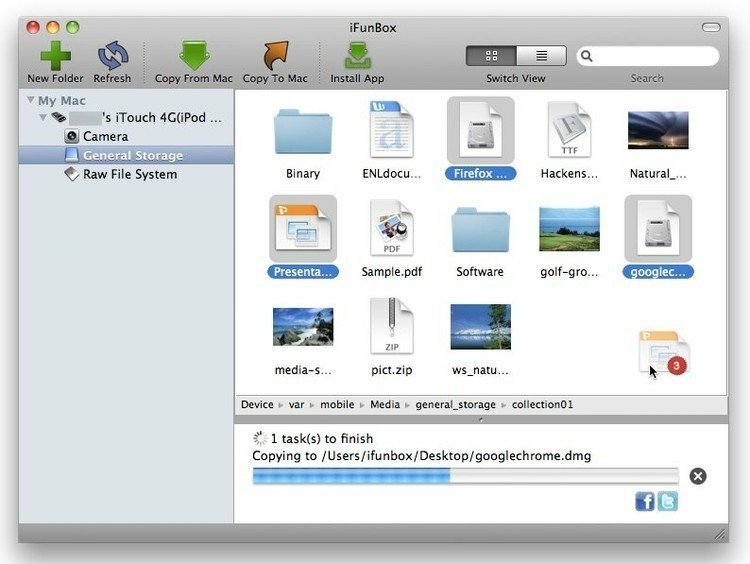 The interface of iFunBox for Mac is similar to Finder's, therefore, you'll be familiar with how to move around its options. Transfer files and games, use the devices as external storage units, create backups... All the latter with Apple's inherent simplicity. Access the management of your iOS device by means of USB. Install DEB and IPA files. If you own one of these gadgets by Apple and you want to get hold of a complete, lightweight and free tool to manage its contents, download iFunBox for free.